These silk pillowcases are so wonderful to sleep on. I have fine hair and used to get birds nest hair in the morning with frequent split ends. Since using silk pillowcases I have been amazed at the difference it has made to both my hair and skin. My hairdresser was so impressed with the results, that he now sells my pillowcases in his shop. Other customers have commented that they no longer get creased skin in the morning. 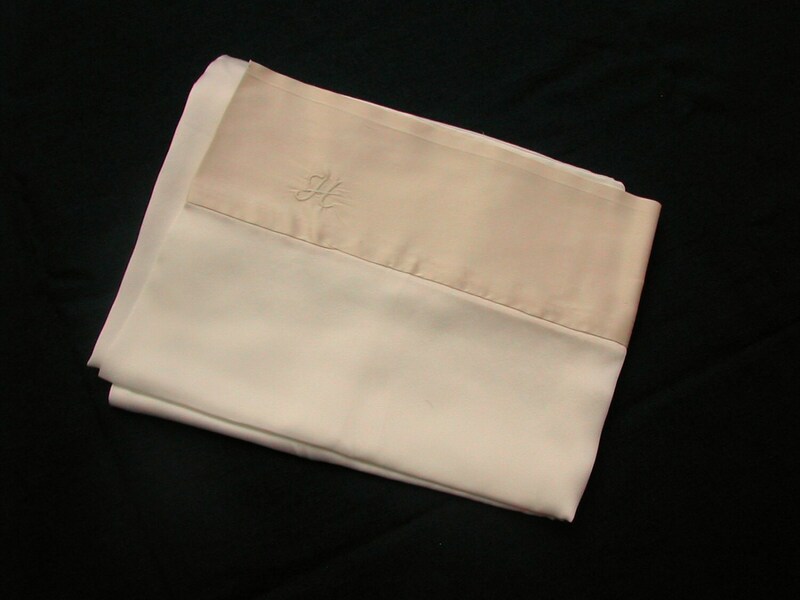 The pillowcases are made of charmeuse silk.This is often spoken of as being the softest silk for pillowcases and ideal for improving hair and skin texture. 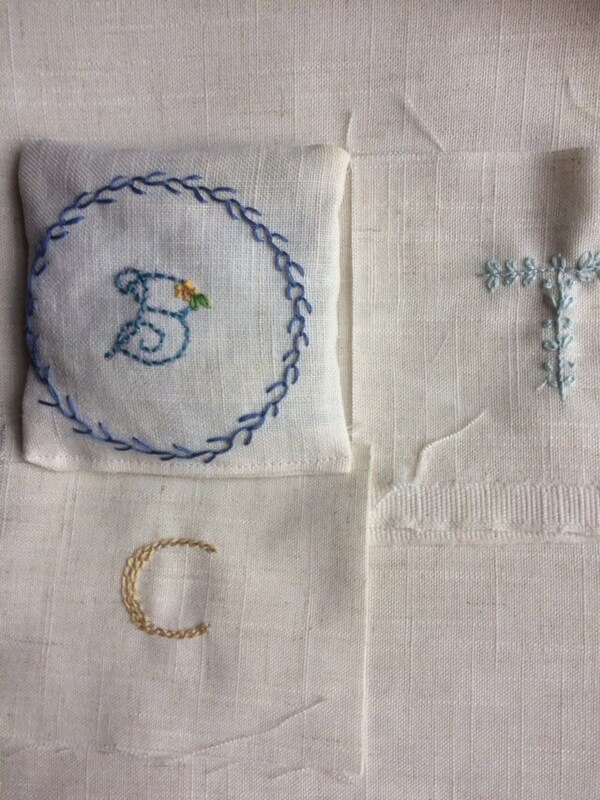 The top of the pillowcase is a crepe de chine with a subtle monogram in the top left hand corner. The monogram can be small or large and a single letter or a combination. 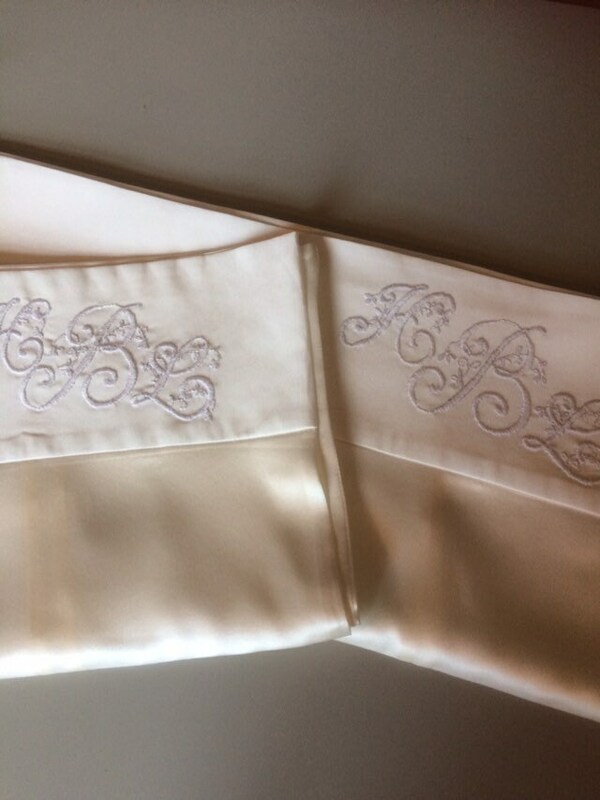 These pillowcases can be made either in pure silk or with a cotton back. The price shown is for the cotton backed version. 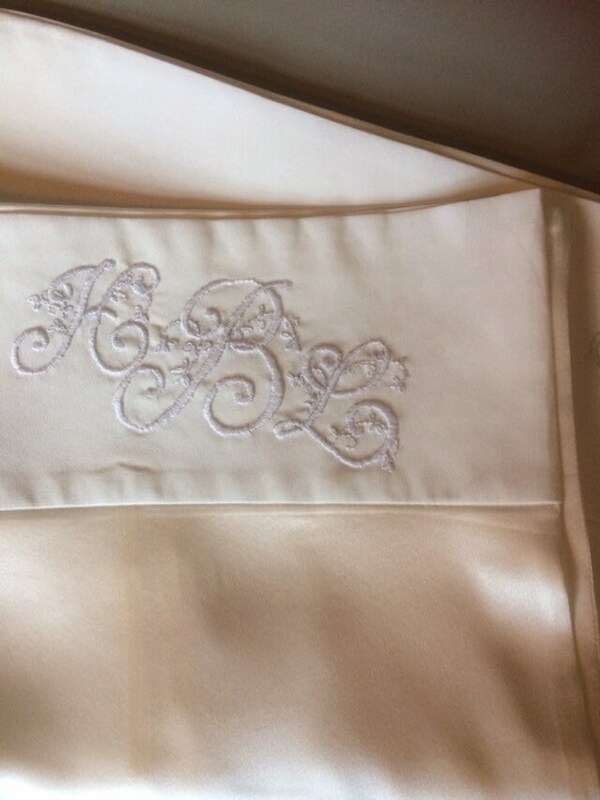 The monogram can be in a contrasting colour or in the same colour as the silk. I prefer to hand embroider the monogram which gives me more flexibility in the design.Please convo me for any design discussions. All seams are enclosed so there are no raw edges , and these pillowcases are a generous size (20x 30") and will cope with the fluffiest pillow. 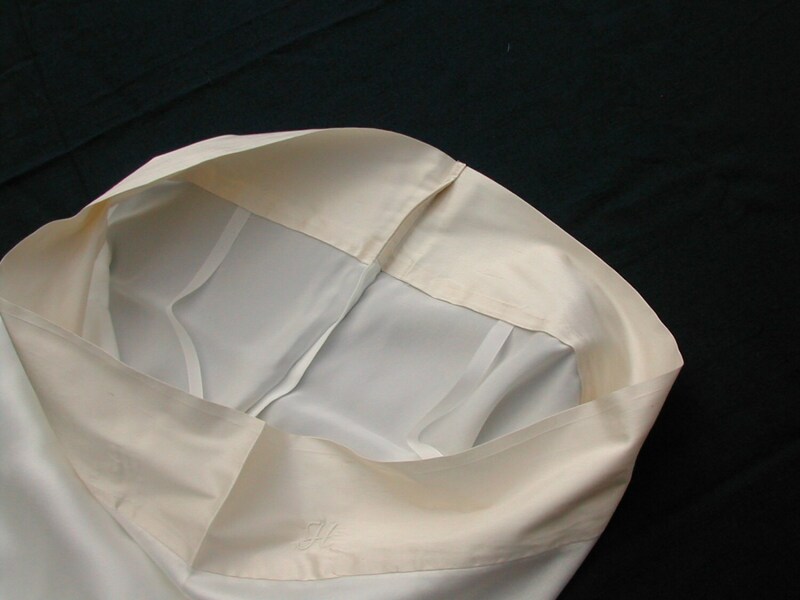 The pillowcases fasten with a tie ribbon rather than a flap. Silk does need extra care, but as they give you such a lot of benefits, you should cherish them. I wash mine on a silk/wool wash with a product such as Ecover for delicates. I love my silk pillowcases, but don't take my word for it -try them for yourself.